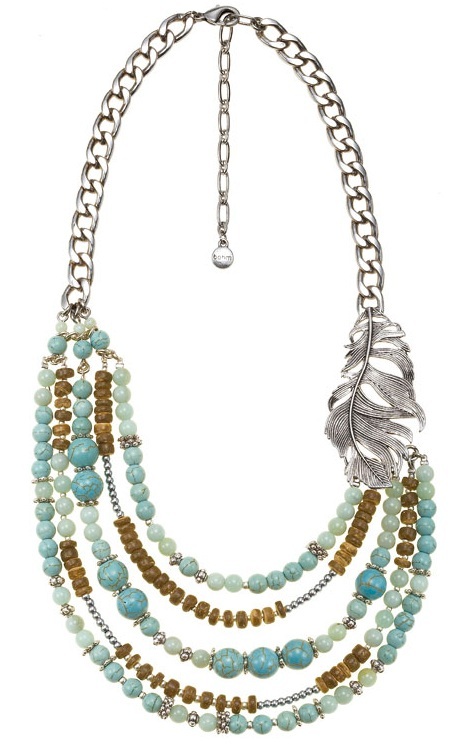 Beautiful multi-layer necklace with feather motif and beads of natural turquoise, wood and silver. The necklace measures 17 inches/43cm to an adjustable 20 inches/51cm. The various beads measure 3mm upto 1cm/10mm. Burnished silver plate. 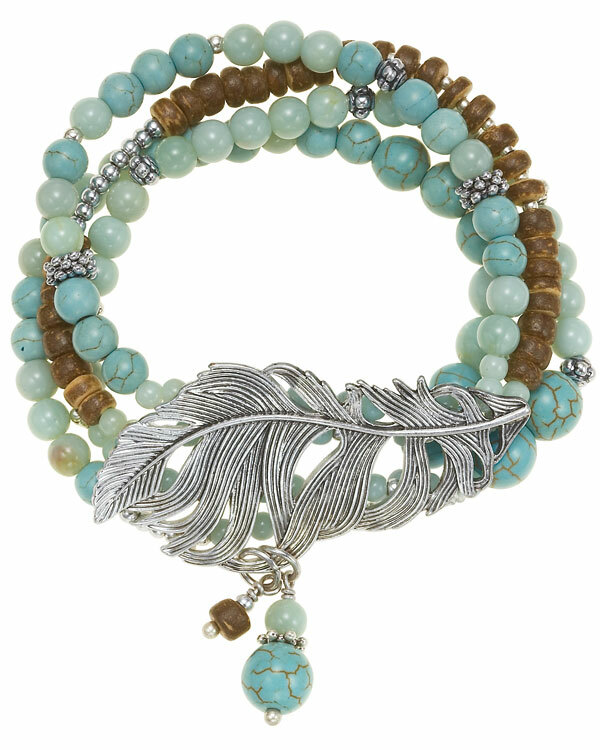 Beautiful multi-layer stretch style bracelet, with feather motif and beads of natural turquoise, wood and silver. The various beads measure 3mm upto 1cm/10mm. Burnished silver plate. The feather forms the main motif of this ‘Free Spirit’ series, the spherical shapes are made-up from a curled feather, really pretty. The ball measures 1.5cm/15mm, total length 2.5cm/25mm. 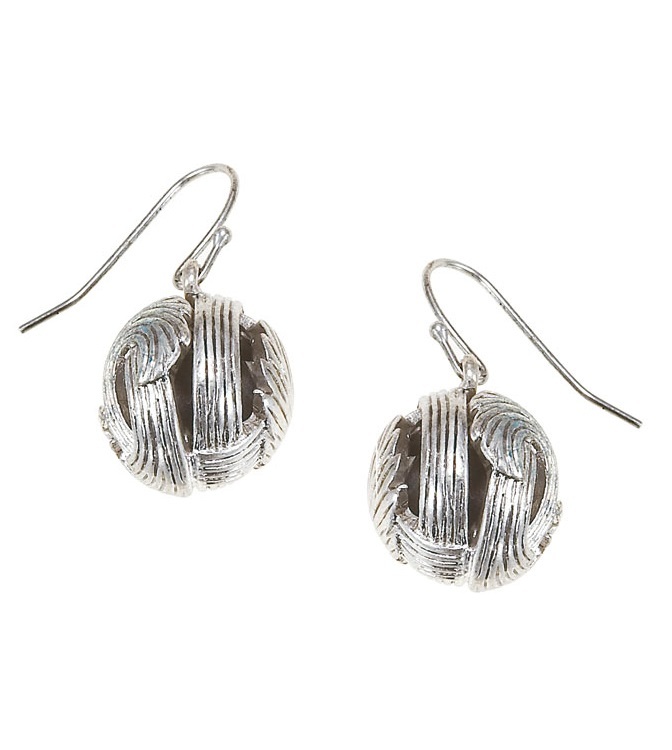 Hook fastener for pierced ears. Burnished silver plate. All Bohm stock comes with a branded tag. 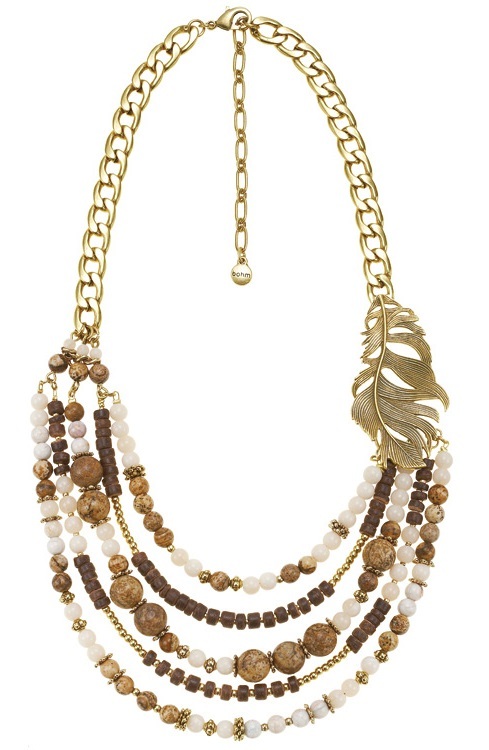 Beautiful multi-layer necklace with feather motif and beads of natural shades of cream and browns in quartz, tiger-eye stone, wood and gold plated metal. The necklace measures 17 inches/43cm to an adjustable 20 inches/51cm. The various beads measure 3mm upto 1cm/10mm. Burnished gold plate. 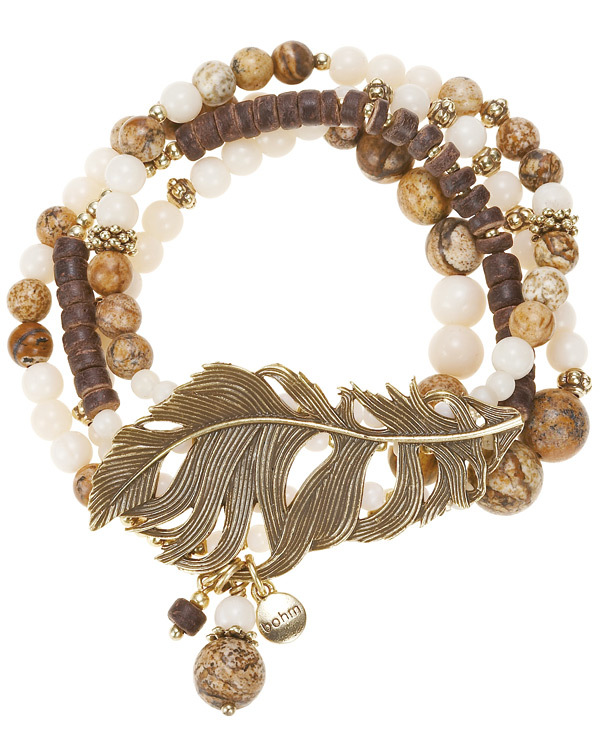 Beautiful multi-layer stretch style bracelet, with feather motif and beads of natural brwoans and creams in quartz, stone tiger-eye, wood and gold plated metal. The various beads measure 3mm upto 1cm/10mm. Burnished gold plate. The feather forms the main motif of this ‘Free Spirit’ series, the spherical shapes are made-up from a curled feather, really pretty. The ball measures 1.5cm/15mm, total length 2.5cm/25mm. Hook fastener for pierced ears. Burnished gold plate. 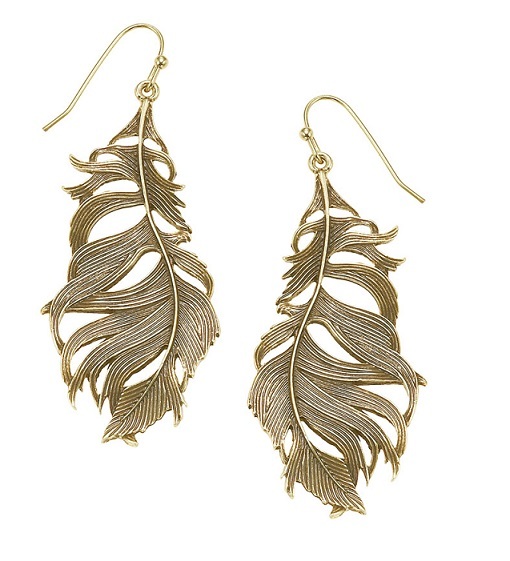 The feather forms the motif of this ‘Free Spirit’ series, these very finely cast feather earrings are so pretty! The feather measures 5cm/50mm, total length 6cm/60mm. Hook fastener for pierced ears. Burnished gold plate. All Bohm stock comes with branded tags. Very pretty and smooth spherical ball of naturally coloured mineral stone in lovely creams and browns, with feather motif cap. 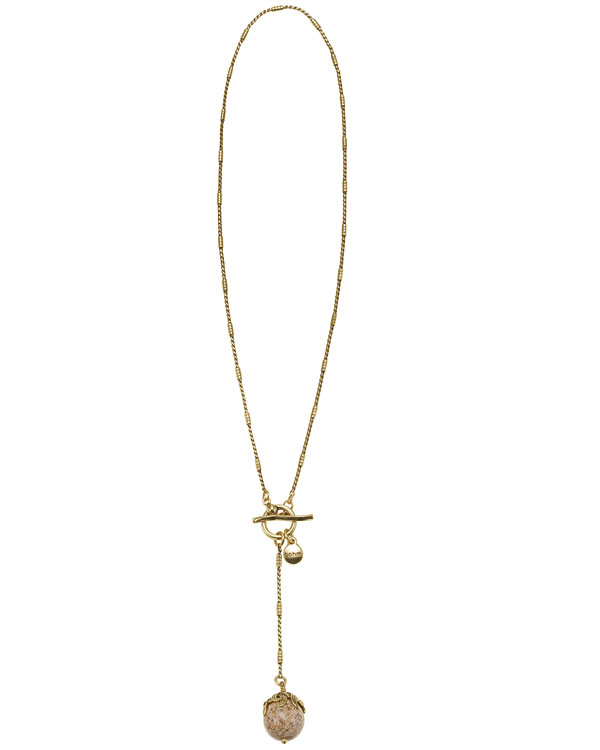 The necklace measures 18 inches/46cm with a T-Bar type closure. The bead measure 1.5cm/15mm. Length of drop is 7.5cm/75mm. 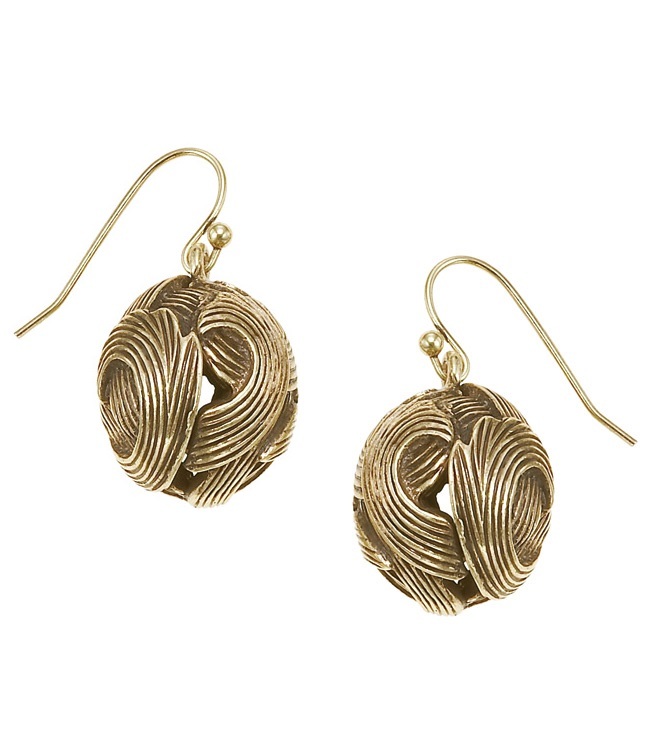 Burnished gold plate.